The Amazon Effect: How do Ecommerce Companies Make Money? Mobile app advertising is the fastest emerging concept in the advertising arena. Many apps are developed and launched each and every day. The number of users downloading and using the apps is increasing manifold. It is creating a revolution in the advertising segment. A major chunk of the entire population seems to have a mobile phone as necessity and the economical smartphones are abundant in the market. Therefore, mobile app advertising is being increasingly tapped as a marketing medium. The best advantage of this method is that the matter will reach the mobile users instantaneously. Also, when a viewer watches one channel, an advertisement in another channel may not reach him. 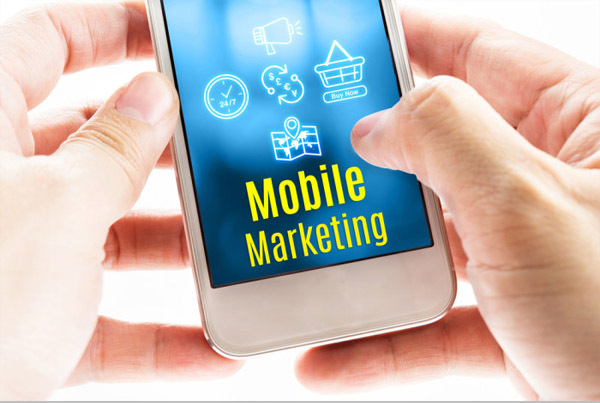 But, since mobile, nowadays, have become an extension of the hand, the advertisement will immediately land on the mobile phones of the prospective customers. #Effective targeting of the audience – One can choose, the relevant industry related mobile apps out of many, to target customers. By this way, one can reach the audience who is interested in the advertisement subject. #Highly Responsive – Compared to e-mail marketing or other forms of advertising, ads for mobile sites gets a high response. As a result, it boosts the return on investment. #Follow-up/Tracking – It is always easier to track how many clicks have been received and what action the users have taken upon the ad with the modern advancement in the e-advertisement field. This is not possible in normal newspaper ads. #Unique and Innovative – For promoting products, services and other deals, this unique way of advertising can be considered. As this is a new advertising method, one has to think and explore possible avenues to tap the maximum potential out of this. #Personal touch – Since the messages are getting delivered into the inbox of customers, it gives a personal touch to customers and gives a good feeling. This may lead them to think and buy the product or subscribe to a service, where lies the ultimate success. Like any other businesses, mobile app developers can also make use of ads for mobile sites to promote their app and make people download it. However, one has to be careful in selecting the mobile app in which they are going to advertise. One has to make sure that the app is long endured with a good track record in the market and has a good number of real people in it. Nowadays, many are bots and fake in many apps. Make sure that the advertisement is shown once in a while with moderate time gap and frequent pop out ads will make the user get irritated. By placing an ad in a popular mobile app, you increase the chances of people noticing your brand and some might also click on the link and visit your website. While they visit, interested parties might share contact details and thus give you leads and direct customers. Having read about all these advantages, gear up and jump into the world of mobile app advertising.This would be the catalyst you needed to rapidly increase your sales and promote your brand. Startup Starting Out? How to Start a Company in the United States!